The terracotta products of Impruneta differ quite a bit from other terracotta products. This has to do with the distinctiveness of the Tuscan territory and from the use of a special chemical composition the clay. The raw material, once processed and burned, gives the product ultimately its extraordinary high resistance against freezing and all weather conditions, as well as a warm and colorful tint. The unique quality of these products makes them harmonize with each and every environment. The Impruntan terracotta originates from the first Estruscan settlements. 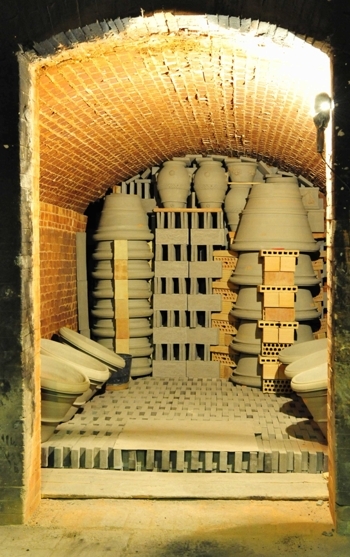 In the year of 1308, a cooperation was founded by those who used the clay and the “Mizzinai” ( Masters of terracotta production ) nearby the parish of “Pieve di Santa Maria”. During the renaissance many artists found the use of terracotta products with the origin Impruneta, among those "Il Brunelleschi“ who used them to finish the covering of the Dome cupola, which can still be seen today in Florence. Donatello, Andrea del Verrocchio and other famous artists created several pieces of art nearby the Imprunetan furnaces. In particular the "Della Robbia“ have owned a furnace, with which they created some unique pieces. All this took place during the renaissance, but later on the recognition of the use and the elementary and decorative qualities of terracotta was acknowledged. It was used as example for: vases, tubs, statues, sculptures, pillars, emblems, bricks and architectural ornaments. This way a unique terracotta culture of was founded in Impruneta. Tradition says that the furnace M.I.T.A.L. advanced into its own and proper production. The furnace M.I.T.A.L. is a family business, which keeps it’s traditions of manufacture terracotta, which was passed down from generation to generation. Taste, imagination and talent, are the essential ingredients of creating a masterpiece. The handcraft is a privilege of quality and not for quantity. 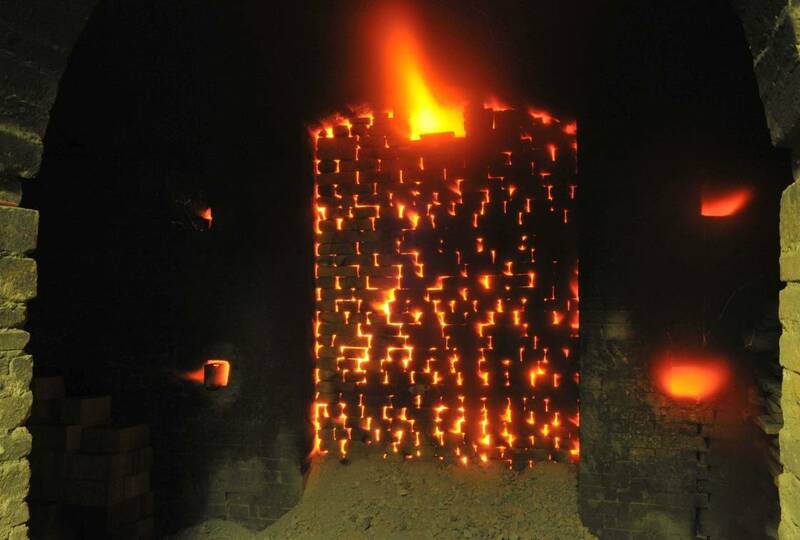 The process of burning in an ancient wood-furnace, with a temperature of 960° celsius gives the M.I.T.A.L. production its classical and elegant look. Colorful and of extraordinary durability as well as resistance against freezing. Moreover, it has a special character, which always reminds of the ancient Imprunetan productions. In the many years of use, M.I.T.A.L. produced a huge number of pieces in all kinds of forms and designs, so that the enormous number of pieces can’t possibly be presented in these pages. This is why our website is a work in progress and will be expanded continuously. Our initiative is to share our work with you and acquaint you with these ancient and important art form so that we can share a part of culture.